The Organic German Bakeshop is the very first organic bakery in New Delhi. It combines the traditional art of German Baking with a clear future oriented engagement for a sustainable use of nature and its resources. The Organic German Bakeshop became a unit of Brown Bread Bakery and Organic Food P.Ltd. in May 2012. This company was founded to support the projects of Learn For Life - Another World is Possible. All of our profits are used to support Learn for Life Project. 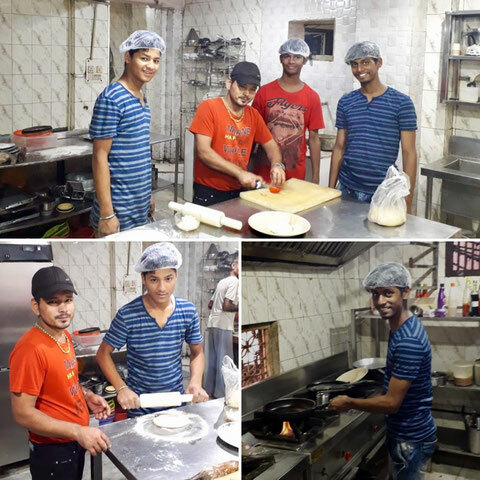 We also provide employment opportunities, vocational training and technical training for ex-students, family members of students, and community members. Our bakery products are available in the “Brown Bread Bakery - New Delhi” restaurant as well as in the associated organic store. We can also deliver our delicious freshly baked goods to your home (see how to order section).